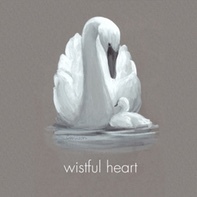 Hampton Photo, Arts and Framing proudly presents The THANK YOU ART SHOW at Ashawagh Hall, January 21st and 22nd, 2012. The opening reception begins Saturday January 21st at 5:30 pm and runs until 11:00 pm and Hampton Photo, Arts and Framing has planned one outstanding night with over 100 local artists! The show will be up for viewing Sunday January 21st from 11-4 as well! Please join us as we say “thank you” to all of our talented friends and customers with a night filled with music, food, art and fun. Over 100 artists will be displaying their artwork in Hampton Photo, Arts and Framing third annual THANK YOU ART SHOW. Painting, photography, sculpture, origami and more will be filling Ashwagh Hall showcasing an unbelievable slice of the Hampton's art scene. This truly will be a art show for everyone. 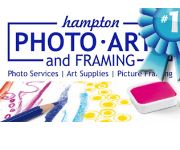 Hampton Photo, Arts and Framing in Bridgehampton has been in business for over 22 years providing photo services, picture framing, frames and art supplies and we are saying once again "THANK YOU" to the community and to our friends who have supported us for over two decades.